All pre-professional health students at EKU are welcome to attend meetings and get involved. There are three basic levels of engagement in the Society: Committee Ambassador, Committee Member, and General Member. 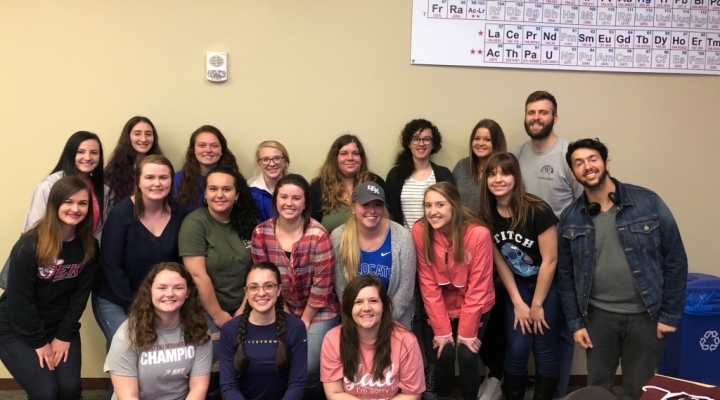 The mission of the Society is to coordinate and implement activities that support, engage and build community around pre-professional health students at EKU. 1) Officially join the Society through the RSO group (note in the "About Me" section of your personal profile if you are pre-dental, pre-medical, pre-optometry, pre-pharmacy, or pre-physician assistant): https://orgsync.com/147269/chapter. 2) Join the Society's Facebook group at: https://www.facebook.com/groups/1096403967167410/.